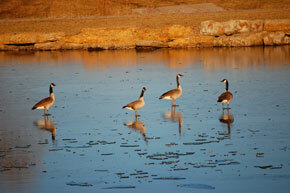 A flock of geese were gathering at a pond in Gardner so I went there after work on a cold January Monday. 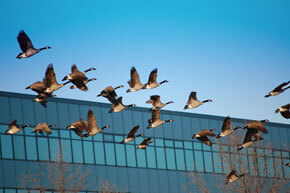 I couldn’t believe how many geese were on and around the pond…it was quite a site! I was able to get fairly close so I started shooting my camera. Their movement was based on how close I actually got to them. When I got closer they would move forward…when they ran out of ground they would either fly onto the pond or up in the air. It was like an air show…they would fly around the pond at different angles either landing on the water or the brown grass below them. I got shots of the geese in the air, on the grass and on the pond. Part of the pond was frozen so I got some shots of them standing on the ice. I had so much fun on that Monday that I bundled up and went back Tuesday after work! It was so cool to gauge my reaction to the geese and see them act and react to me being around them!